You have a Brain by Ben Carson, MD Audiobook Download - Christian audiobooks. Try us free. After an obstacle-filled childhood and school years, Dr. Carson discovered these eight principles to help you overcome obstacles as you work toward achieving your dreams. World-renowned neurosurgeon Dr. Ben Carson has led an amazing life. A life in which he has earned incredible success. But starting out from when he was young through his time as a student, his life was filled with incredible obstacles: His father leaving the family; being considered stupid by his classmates in grade school; growing up in inner-city Detroit; and having a violent temper. But Dr. Carson didn't let his circumstances control him, and instead discovered eight principles that helped shape his future. In You Have a Brain: A Teen’s Guide to Think Big, Dr. Carson unpacks the eight important parts of Thinking Big—Talent, Honesty, Insight, being Nice, Knowledge, Books, In-Depth learning, and God—and presents the stories of people who demonstrated those things in his life. By applying the idea of T.H.I.N.K. B.I.G. to your life, and by looking at those around you as well, you too can overcome any obstacles and achieve your dreams. You Have a Brain: Includes discussion questions at the back of the book unpacks the eight essential parts of Thinking Big: Talent, Honesty, Insight, Strong People Skills, Knowledge, Books, In-Depth Learning, and God. 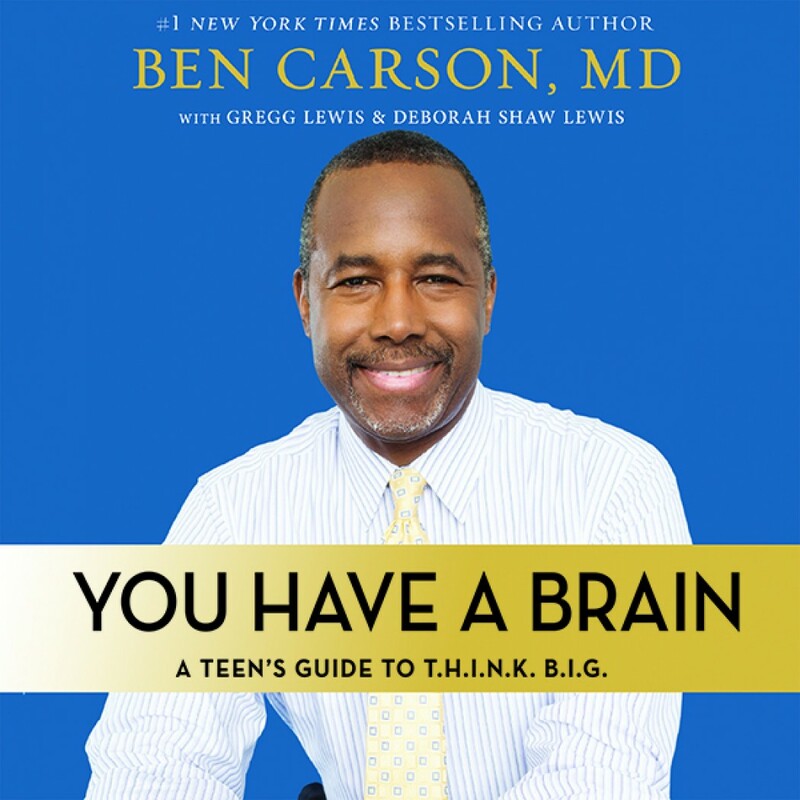 Is written by Dr. Ben Carson, a world-renowned neurosurgeon, former presidential candidate, and current Secretary of Housing and Urban Development (HUD)Teaches great life lessons for boys and girls ages 13 and up is the perfect gift for high school and college graduations, birthdays, and confirmations, and a great addition to book clubs and study groups.